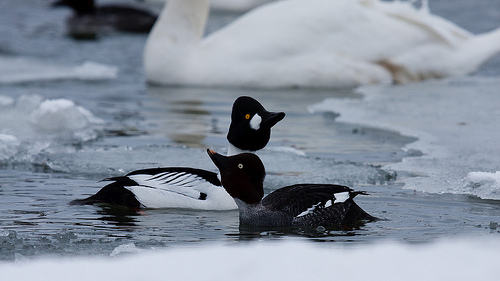 The Barrow Goldeneye breeds in north America and Iceland. Occasionally it can be found on the English or Irish coast. In continental western Europe it is rare. 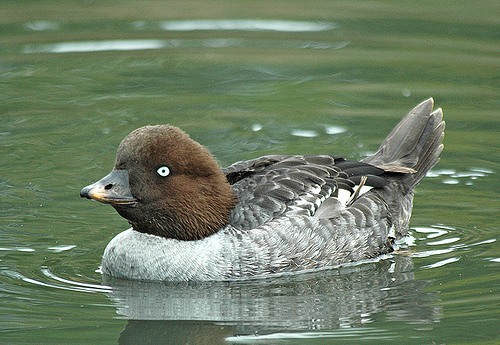 The female Barrow's Goldeneye has a shorter beak than the Common Goldeneye. The difference is hard to see !